NOBODY is as efficient as a multi-tasking working mum, and Tara Sharma Salujaa��s husband Roopak often tells her this, jokingly. The former actress laughs at her entrepreneur husbanda��s observation and says, a�?Half the time, I am working out of a soccer field (where my sons play), or restrooms during parties, sending out important emails. I have actually closed brand deals when I had been out with my kids!a�? The mother of two boys, Kai (five), and Zen (going to be seven), Tara, who has appeared in films like Om Jai Jagdish, Saaya and Khosla Ka Ghosla, tells us, a�?When you have kids, you learn to manage time. They are the best teachers of parenting. You might make routines, but you have to be open to last-minute changes. I do most of my work when my sons are in school.a�? 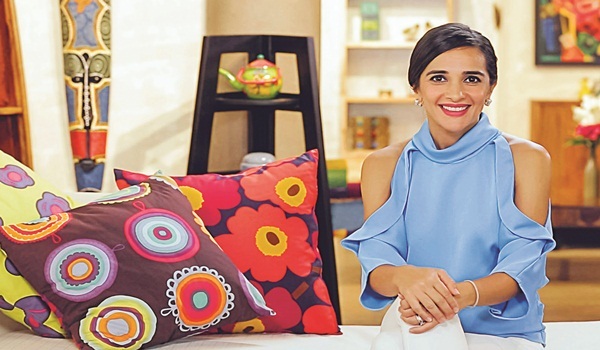 While parenting is the premise of her TV series, The Tara Sharma Show, which entered into Season 4 this Sunday, the 39-year-old admits that every woman should figure out a schedule that is best for her family. a�?To each his own,a�� is her philosophy. The talk show features celebrities, common people from all walks of life, and mompreneurs, and will now take up related social issues, without a�?being preachy, or judgemental.a�? In the coming episodes, actors Soha Ali Khan and John Abraham, cricketer Virat Kohli, and Prince Manvendra Singh Gohil will discuss a range of topics a�� from marriage, fitness, letting children pursue their passion, to coming out of the closet a�� and how they were influenced by their parents. The first episode, about a�?emerging trends in the parenting workspacea��, featured choreographer-director, and mother of three, Farah Khan. a�?My show might be smaller than a movie, but it is my own thing (co-produced with Roopak). Sometimes, I think if I do item songs, I will get more publicity!a�? shares Tara, while agreeing it is a rewarding experience, especially when she is thanked by mothers for highlighting the cause of children with special needs, and showing them the way to turn entrepreneurs. Tara has always been routine-oriented, from her days at London School of Economics, as a financial consultant at Accenture, and then in showbiz. What is a day like in the Saluja household now? a�?Roopak and I wake up at 6.30 am. Drop our kids to the bus. Two days a week, they have soccer classes at 6.45 am. Since I am very devoted to fitness, I exercise 15 minutes daily. I also do yoga three times a week. Sundays are quite special, because Roopak is at home, so we swim, watch movies or just chill,a�? says Tara, admitting that she is a softie, and Roopak, a�?the strict onea�?, when it comes to their kids.